Welcome again, and for the very last time, to our roundtable, Breaking Down Banana Fish! We greet you this month with our final installment, covering volumes seventeen through nineteen of this epic series, as well as two side stories (“Angel Eyes” and “Garden of Light”) which are included in the final volume of the English-language edition of the manga. It’s hard to believe we’ve finally come to the end! I’m joined again in this round by Michelle Smith (Soliloquy in Blue), Khursten Santos (Otaku Champloo), Connie C. (Slightly Biased Manga), Eva Volin (Good Comics For Kids), and Robin Brenner (No Flying, No Tights). 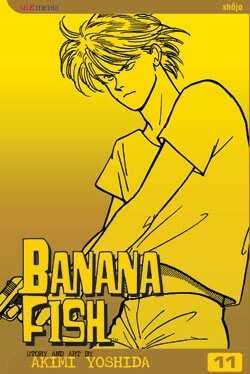 Just a note before we begin, this final edition of “Breaking Down Banana Fish” contains in-depth discussion of the series’ final chapters, including the outcome of the all series’ main conflicts and the fates of its characters. Obviously this means spoilers, so if you’re new to the series we recommend you begin reading along with the discussions listed below. Read our roundtable on volumes one and two here, volumes three and four here, volumes five and six here, volumes seven and eight here, volumes nine and ten here, volumes eleven through thirteen here, and volumes fourteen through sixteen here. On to roundtable eight! 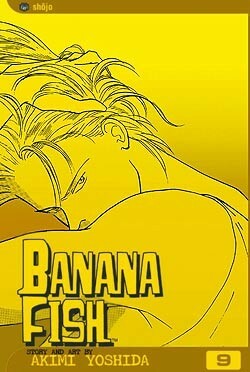 Hello and welcome once again to our roundtable, Breaking Down Banana Fish! We continue this month with our new three-volume format, and with just six volumes left to discuss, that means we’ll have the entire series covered by the end of our May installment. Volumes fourteen through sixteen are action-packed, as Eiji and the others manage to (mostly) pull off their ambitious rescue operation, followed by a declaration of war by Golzine that places all three of our major gangs at the center of a military-style siege. Meanwhile, Yut-Lung declares a war of his own with assassin Blanca on board as his bodyguard. Continued thanks to these wonderful women for their hard work and brilliance! Read our roundtable on volumes one and two here, volumes three and four here, volumes five and six here, volumes seven and eight here, volumes nine and ten here, and volumes eleven through thirteen here. On to part seven! Hello and welcome to the sixth installment of our roundtable, Breaking Down Banana Fish! This month, we move to our new three-volume format with volumes eleven through thirteen, beginning with Ash’s escape from a government mental hospital. Having been officially declared dead, Ash is able to reunite with Eiji and his gang without the cops on his tail, but a new scheme from Papa Dino’s corner soon has him trapped again, forced back into prostitution, this time of mind instead of body. With Ash back in Dino’s clutches, it’s time for Eiji to step up and plan his rescue, with no little help from Chinatown’s gang leader, Sing Soo-Ling. Many thanks to these wonderful women for their continued time and brilliance! Read our roundtable on volumes one and two here, volumes three and four here, volumes five and six here, volumes seven and eight here, and volumes nine and ten here. On to part six! 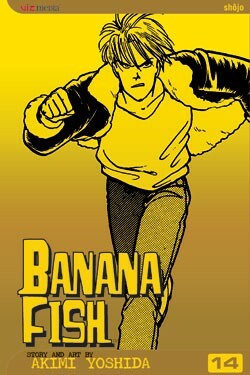 Hello readers, and welcome to the fifth installment of our roundtable, Breaking Down Banana Fish! This month we take on volumes nine and ten, in which Ash faces Arthur in their final showdown, Eiji is nabbed by the fuzz, Yut-Lung reveals his vulnerable side, and government conspiracy runs amok. I’m joined this month by Michelle Smith (Soliloquy in Blue), Khursten Santos (Otaku Champloo), Connie C. (Slightly Biased Manga), and Robin Brenner (No Flying, No Tights). Eva’s taking a break this time around, but she’ll be back with us in January as we head into the second half of the series! Just a note: We’ll be moving to three volumes per installment beginning in January, so if you’re following along, be sure to read up through volume 13! I would like to take just a moment to thank everyone on the roundtable for working to make time for this project. Nineteen volumes is a large commitment to make, and I have a great deal of gratitude toward these women for sticking it out, especially Eva who will have to marathon five volumes to catch up next time around! Thanks also to Viz for printing this series in its entirety. Perhaps if we’re very lucky, it might receive an omnibus treatment somewhere down the line, to put it all back in print. Read our roundtable on volumes one and two here, volumes three and four here, volumes five and six here, and volumes seven and eight here. On to part five! 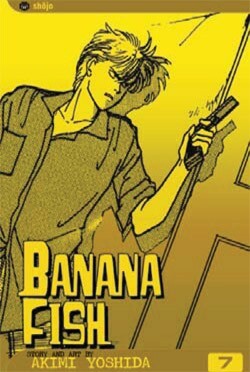 Hello faithful shojo fans, and welcome again to our roundtable, Breaking Down Banana Fish! This month we take on volumes seven and eight, in which Ash brings his war straight to Arthur’s doorstep and Papa Dino’s bank account, playing both cutthroat businessman and cold-blooded killer, while Eiji does his best just to keep Ash human. Blackmail, introspection, and an epic subway battle ensue. Read our roundtable on volumes one and two here, volumes three and four here, and volumes five and six here. On to part four! 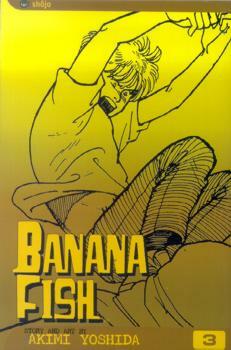 Welcome to the third installment of the Banana Fish roundtable! This month, we tackle volumes five and six. With Yut-Lung conniving behind the scenes and Shorter’s loyalties stretched to the limit, everyone ends up in Papa Dino’s hands over the course of these volumes, and not all can survive. Ash orchestrates an elaborate escape, but his allegiance with the Chinatown gang may be lost forever. I’m joined this round by Michelle Smith (Soliloquy in Blue), Khursten Santos (Otaku Champloo), Connie C. (Slightly Biased Manga), Eva Volin (Good Comics For Kids), and Robin Brenner (No Flying, No Tights). Read our roundtable on volumes one and two here, and volumes three and four here. 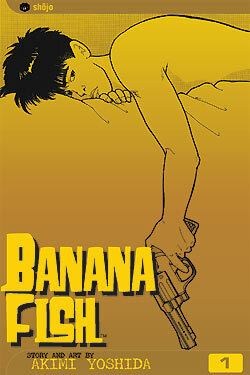 Welcome to the second installment of the Banana Fish roundtable! This month, we discuss volumes three and four of this classic shojo series, in which Ash gets out of jail, Eiji and Ibe overstay their visas, and everyone ends up on an ill-considered road trip to L.A., just in time to fall into the hands of a Chinese mafia family’s secret weapon. Topics this round include what makes a shojo manga, thoughts on the series’ few female characters, and everyone’s take on new bad guy, Yut-Lung. 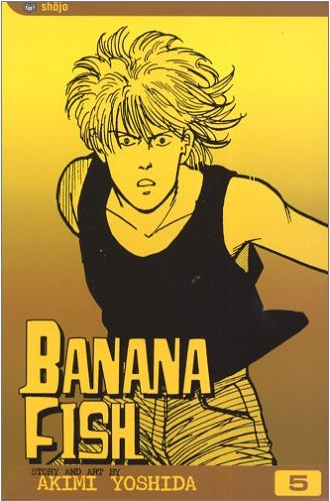 Any regular reader of this blog will know that one of my favorite manga series is Akimi Yoshida’s 1980s shojo epic, Banana Fish. I’ve spent quite a bit of effort attempting to persuade readers to check it out, so just imagine my joy when a few of my favorite manga bloggers agreed to indulge me in an ongoing roundtable discussion of the series!